For oil and gas operators, the maintenance of subsea pipelines is crucial. From ensuring safe offshore operations to compliance with legal regulations, the importance of subsea pipeline upkeep really can’t be understated. As such, it is important that the equipment used in flow assurance processes is accurate and reliable, able to find pipeline integrity issues quickly as well as calculate wall thickness to a high degree of accuracy. All of this must be obtained with minimal disruption to the pipelines in operation. 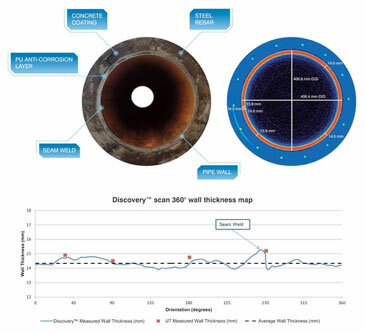 Issues in subsea pipeline maintenance can arise as techniques such as in-line inspection aren’t always feasible. In this instance, operators may fall back on ‘hotspot’ inspections in localised areas. From this, more inspections can be carried out — but it isn’t efficient nor cost-effective to do this. 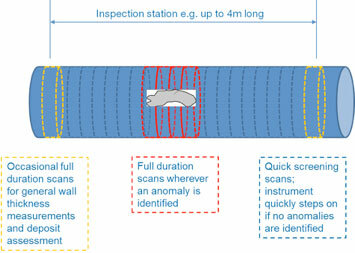 With a field-proven subsea CT scanner, operators do not have to waste time on these hotspot inspections. Instead, the software can find defects and inform the operator whether or not these issues are impacting the pipeline enough to push it out of its specified tolerance. With these issues accounted for, operators can then undertake a more detailed scan of that area, rather than extending the scanning scope blindly after hotspot inspections. With third-party recognition from maritime classification society Lloyd’s, another benefit of using field-proven subsea CT scanners such as Discovery is the wealth of experience and reliability it has already amassed. For example, with over 2000 scans and numerous accurate readings and findings in its repertoire, this scanner can surely help operators in the industry the world over. Not only does implementing such a scanner help save time, it could help financially by using a more accurate method than traditional scanning or hotspot inspections.